As a great man once said, (and rightly so, one may add), "Man works for his daily bread." The salary of a job is one of the most important components in making a decision on whether to go for that job or not. In India, there are no well-calculated or cleanly available statistics around average salary figures. While several government and private surveys generate numbers around average annual household income and per capita income, they are so rounded up and averaged out as to be almost useless. Here is a Quora link where several users have commented about average salary in India. As you can see, the numbers don't really make much sense. Now among the plethora of careers available, the ones available through the Staff Selection Committee's Combined Graduate Level Exam (SSC CGL) are among the most prestigious. They usually result in employment under the Central Government of India. Since it is a Central Government job, the salary is very well defined and publicly available. The salary structure of posts under CGL is different as per job profile and Grade Pay scale. Our Government has implemented the "7th Pay Commission" from January 1st, 2016. States and Public Sector Enterprises will also implement the similar structure. Not only salary and perks, but you get reputation and respect as well. There are many other allowances like SDA, Medical, Canteen, Specs, Briefcase and more. There are around 30 posts under SSC CGL and different salaries as per their work profile. The Pay Scale is different for Group-B and Group-C.
From the points above, hopefully it is clear that there are a huge variety of jobs and designations available through the exam. Depending on your merit in the exam and your own preferences, your location, role, responsibilities, salary and perks will vary. However, as a general guide for students we have presented an example salary calculation below that shows the average position one would be in after successfully clearing SSC CGL. As an illustrative example, let's look at the salary calculation of an Examiner stationed in Hyderabad. Now we will calculate deductions on the Gross Pay. Again, we would like to point out that this is an illustrative calculation and is meant to be more of a guide than anything else. 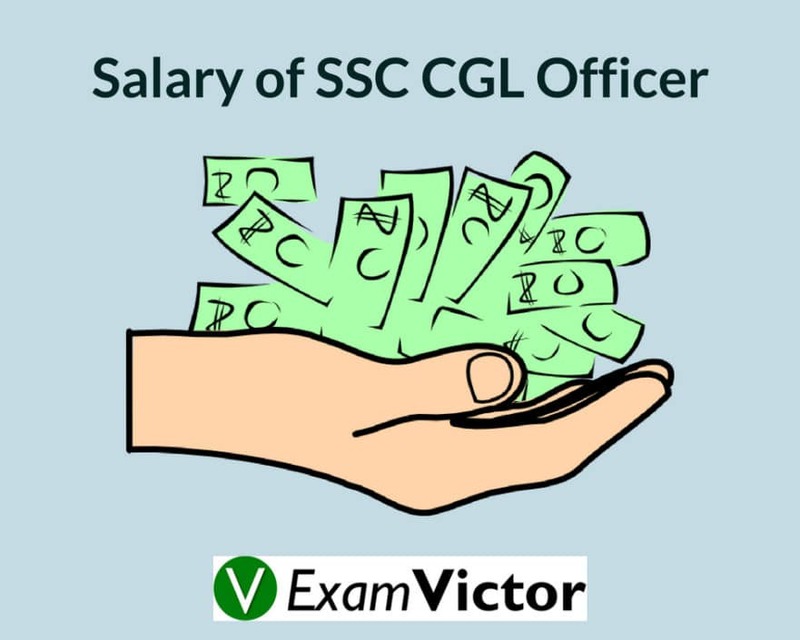 A successful SSC CGL aspirant would get a final take-home salary in the range of Rs 45,000 to Rs 60,000 depending on their role, location and a number of other factors. Clearly, the final salary of a successful SSC CGL aspirant is a topic of perennial importance and interest. We have laid out a sample calculation making a number of assumptions, and showed that a middle-of-the-range figure would be about Rs 51,000 per month, after tax (i.e. final take-home pay). We also discussed how this is a very indicative number, and that the true answer is that the monthly take-home figure would be in the range of Rs 45,000 to Rs 60,000. Of course, this does not take into account the value of the perks or the associated pride and prestige serving the Government and the people of India.